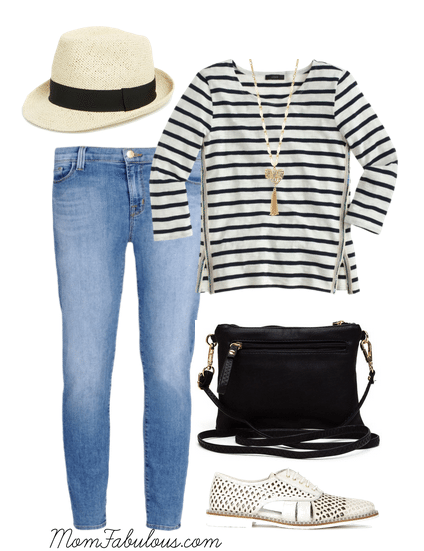 It’s time for another Cute Outfit Ideas of the Week! Today’s edition is all about summer outfits with hats because a) it’s HOT and b) I’ve seen hats everywhere and really want to try the trend. I’ve always said I’m so not a hat person. Actually, I believe I’ve been told that to my face, ha! But, I am dead set on finding a hat that works for me because they are not only cute and can pull an outfit together, but during this heat – they’re very practical. 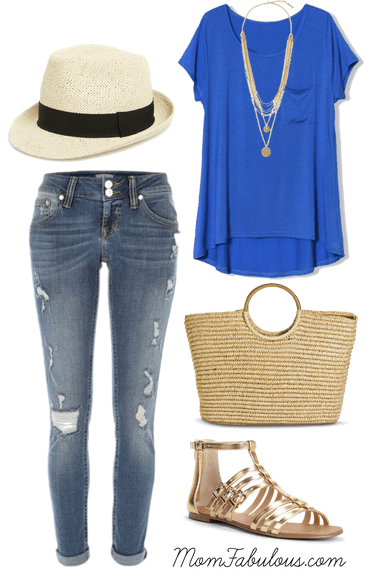 Enjoy these cute outfit ideas featuring a summer hat! I’ve pulled some celeb street style photos, as well as fellow fashion blogger friends who are sporting the look, and quite fabulously I might add. Naomi Watts looks so young and summery in her fedora. 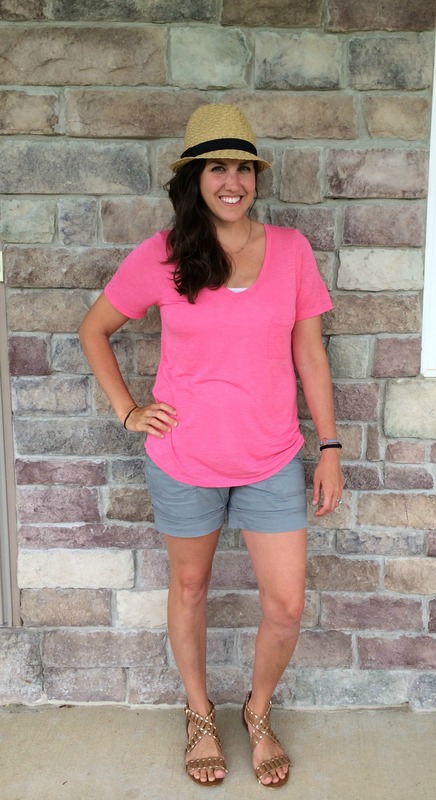 Andrea from Momma in Flip Flops wears a pop of pink with her fedora. 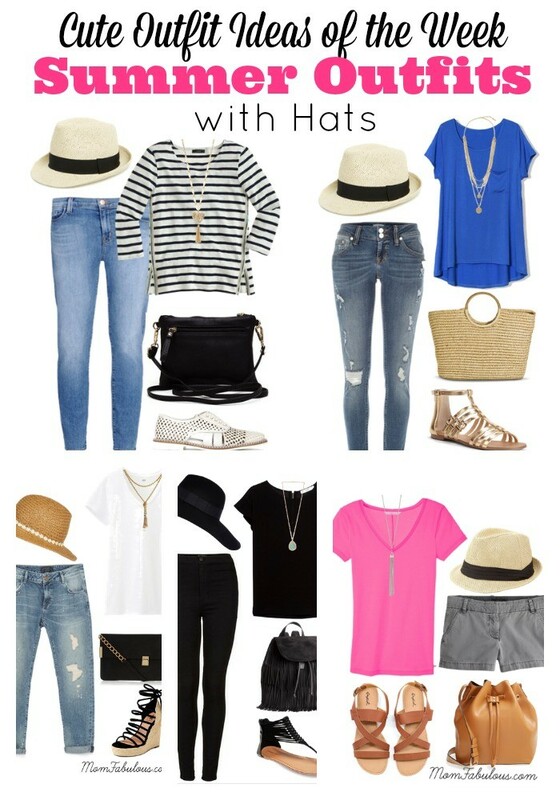 Carly from Thirty Something Fashion shows three ways to wear a fedora..and I love them all! Ellen from That Chic Mom knows how to rock a pixie cut and a fedora. 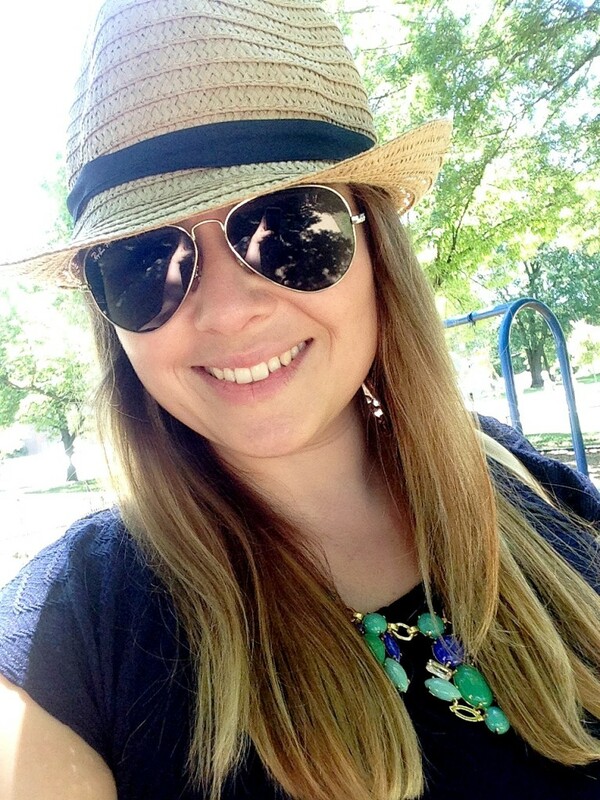 María José from Very Busy Mama Blog shows how a fedora, a summer dress and a beautiful statement necklace creates one perfect outfit for a day at the park with the kiddos. Gladys from The Mother Overload, shows how a hat can take a summer shorts outfit to a whole new level. Do you wear hats in the summer? If so, what style is your go-to?